"A simple and easy to use platform for payments"
I like that it is a simple and very easy to use platform, it is very useful to manage payments through BitCoin, in the company it is used for the payment of suppliers and payments of services that have been outsourced through the internet. It is an excellent platform, with applications for PC and smartphone. It is also very useful to send Bitcoin to Skrill. I also like the possibility of buying gift cards as amazon gift cards from Bitcoin, it's really good. "I lost $700 from double billing and Bitpay failed to respond for 6 months - never again!" It's a pretty blue card. I have to use 40 characters minimum but I can't find one good thing that I like about this company at this time. I dislike Bitpay's unwillingness to stand with the customer when I have been double billed for charges made. No response on emails, no information when calling in, and no one knows anything. Finally after 6 months of trying to get the double billings corrected (over $700) Bitpay charged me a non activity fee while I waited to get my funds refunded to my account. After 6 months they said I could not get refunded because too much time had passed. NEVER AGAIN. Run from these people as fast as you can! They do NOT stand with their clients if someone double bills your account. Run for your life. If your Bitcoin is not safe inside their system, and if they allow a company to double bill you or run a charge that you didn't authorize, and if they will not stand with you, will not communicate to you, and will allow 6 months of water to go under the bridge on multiple transactions before finally letting you know that they're keeping the money and not reimbursing you - because too much time has passed .... you need to find a competent company that actually works for you and protects your interests. Nothing solved. I am finished with this company. It's too expensive to work with a company that can't communicate or do basic credit card services with clients. "They blocked every transaction attempt and then listed those BLOCKED attempts as "invoices" to block"
There is really nothing to like about this company. Astounding incompetence that appears to run all the way to the top. The incompetents at Bitpay are blaming me for their incompetence and their convoluted system that blocks valid transactions without cause. The incompetent tech Dana threatened "Additionally, we reserve the right to close your account if you continue to handle issues in this matter." They blocked every transaction attempt and then listed those BLOCKED attempts as "invoices" to block future attempts. All I did was put some bitcoin into the wallet and then TRY to transfer it to USD. When it failed I tried again the next day. After a couple of days I transferred my BTC away and ended up losing about $2000 because Bitpay blocked me from selling. We dropped Bitpay from our website because of distrust of them. The best thing is that Bitpay allows you to post as many custom parameters as you like. BitPay offers several advantages including flat-rate pricing, guaranteed exchange rates, daily bank settlements, and an option for importing bitcoin sales into Quick Books. 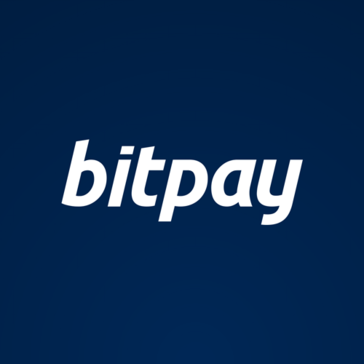 Bitpay is 100% merchant solution that provides reputable and affordable service. It is affordable. It prevents your payment data from hackers and excellent option for businesses who accepts bitcoin for payment. BitPay is a fantastic service. BitPay offers the ability to accept bitcoin payments for your business, securely store bitcoin using their service - one can create a bitcoin wallet with BitPay - and you can spend your bitcoins anywhere as BitPay allows the ability to turn your bitcoins into dollars. BitPay is fast and overall secure with zero down time or maintenance issues. It is definitely worth giving ago, compared to other Bitcoin services out there today. However due to certain issues, I am no longer a user of BitPay. Although BitPay is overall fantastic in many departments that it has, there is one particular thing I dislike of it. The UI on the mobile app is very un-intuitive. The design needs an overhaul and to provide the user with ease of accessibility. For this, I am no longer a user of BitPay. Absolutely give it ago, even if you have doubt in it failing. BitPay offers great functionality and security and support - their support is fantastic so if you do have a problem you can be assured that it will be solved. BitPay opens the door to solve many business problems. BitPay enables the ability to open your business to many more customers as it enables customers to pay in Bitcoin. BitPay enables you to accept business payments easily and securely. BitPay has also allowed the problem of keeping track of payments and financial things, disappear. It is phenomenal to think that a service like this can solve such big problems in a business environment. "Exceptional way to pay and receive Bitcoins." Bitcoin is a bunch of data, isn't actually money but, people on the Internet uses it like a medium to get paid internationally. There are many ways to get this done well but Bitpay offers a simple and friendly interface to the user as well a way to invoicing, calculate in real-time price in almost all the currencies out there, integration with mobile and a large list of features. There is not actually something that I dislike about Bitpay. Being extremely honest, I don't like fees in my payments, The fee in Bitpay is really small, the free plan is great and the Pro plan just has a 1% fee, is almost nothing but as I said, being extremely honest, I'm Scrooge. Receiving payments in bitcoins is a lot better than in PayPal: lowers fees and faster. Bitpay helps you handle that. "The best Bitcoin Transaction processor for any business"
I absolutely love bitpay. It is very easy to use, very easy to set up, the fees are extremely low, and they are very fast at getting you your money. It is great, support is there to help as well, and are really good at what they do. Allows my business to accept bitcoin transactions, resulting in accessing a niche market, and gaining sales. Works great for transferring bitcoins to a bitpay debit card. I’m not quite sure that they have reputable customer service. This is an all-in-one app that requires very little training for employees to understand. 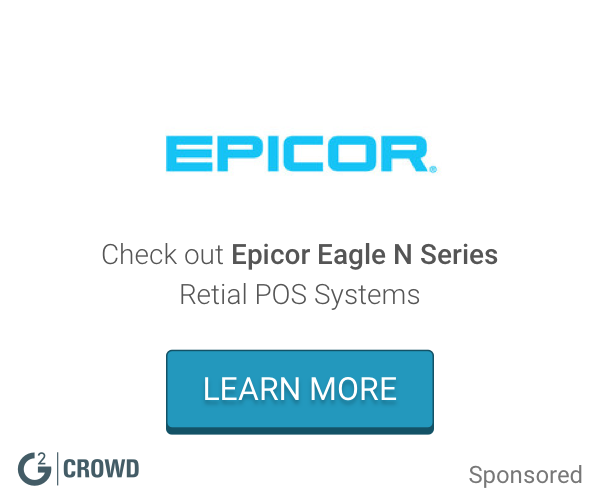 While I originally downloaded it for personal finances, I have recently started to use it for payment gateways at work and have been loving the ease of use and instant payments with receipts. "Very simple bitcoin payment processor"
I totally cherish bitpay. It is anything but difficult to utilize, simple to set up, the expenses are to a great degree low, and they are quick at getting you your cash. Getting installments in bitcoins is a great deal superior to in PayPal: brings down charges and quicker. I like that it's easy and reliable, they were one of the first to offer bitcoin payments. The fees are a little off sometimes. I find it a little higher then it should be. When using this product make sure you are sending to the correct address! Always check twice. Paying for items with Bitcoin. Customized Button good for Fundraising and Online funding system as well, Secure payment and quick service. Fundraising has never been easy since some donors needs proper documentation before putting in their funds and through Bitpay i we are able to make it happen. "Great solution for those using next generation currency!" I love that it gives an easy to use option for everyone using Bitcoin to manage their next level currency. Very easy to use. Not much to really complain about. Just like all newer products they need a little bit of tweaking but that just comes with time. In general, i love using it. I have been doing lots of Valve trading, gambling and selling and selling high end digital content I needed a secure easy to use method to take BitCoin payment. This solved that problem, and then some! "Was able to easily transfer bitcoin from my other wallet to BitPay"
Nothing that I have observed as of now. "Great stress free option for accepting Bitcoin"
It is extremely easy to use, cheapers than credit cards, brings you new customers, and immediately converts bitcoins to cash. I don't like how the minimum for withdrawals if fairly high. It allowed me to accept bitcoin on my site worry free, and bring in new customers. "A Simple Bitcoin Payment Processor"
Free plan processes 30 transactions a month. Easy to set up and integrate. Low annual limits without verification of identity. I use bitpay to process bitcoin transactions that I can then transfer to my bitcoin wallet. "a very simple bitcoin pament processor"
bitpay makes accepting bitcoin very simple and has a super easy app interface. the conversion from bitcoin to cash has a very difficult and long verification process. accepting bitcoin allows any business to appeal to a whole new customer base and gain support from the bitcoin community. * We monitor all BitPay reviews to prevent fraudulent reviews and keep review quality high. We do not post reviews by company employees or direct competitors. Validated reviews require the user to submit a screenshot of the product containing their user ID, in order to verify a user is an actual user of the product.